I find the layout pleasing to the eye and tho it needs a bit of a learning curve to look around, there is allready nice things to be seen. 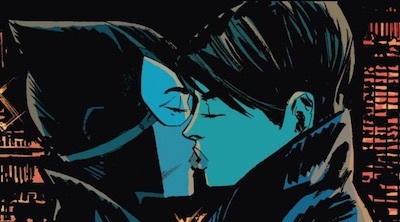 No, it’s not queerbait becase even the writer herself backs this up: Catwoman kisses a girl and wants more. That is a relief after kissing the Batman.